Social media campaigns today go far beyond the realms of perfecting your Instagram bio or polishing your Twitter profile. They are designed with purpose. For brands to stand out online, they need to have a strong social media presence. 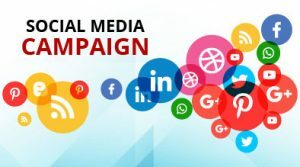 A well-planned social media campaign can increase your following, boost site traffic, drive engagement and generate sales. Social media gives brands the opportunity to directly connect with their audience and communicate their brand’s personality. Creating a consistent voice, tone, design, and content establishes trust among the audience. This trust helps you to connect with both current customers and prospects faster while helping to set you apart from your competition. Posted in Uncategorized and tagged AMA, Facebook, Instagram, SJFC, sjfc ama, social media, social media campaign, YouTube.